This study examines distinctive features of ground motion parameters in northern Algeria. 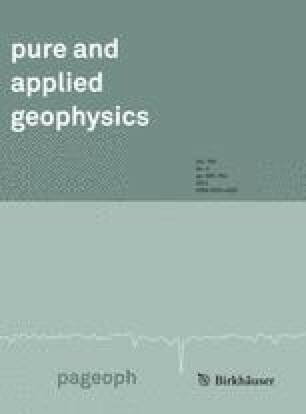 An initial computation of seismic hazard in terms of horizontal peak ground acceleration (PGA) and spectral acceleration (SA) at different periods, damped at 5%, is carried out for three different types of soils (rock, stiff soils and soft soils) for return periods of 100 and 475 years. In addition, uniform hazard spectra (UHS) are computed for these two return periods at several locations in the region. Then, the UHS computed for different soil types are proposed as a starting point to define elastic design spectra for building-code purposes. We have used the well-known Newmark-Hall approach. As proposed in the most recent International Building Codes, the SA (0.2 s) value is used to establish the spectral region for lower periods (region controlled by acceleration), whereas the SA (1.0 s) value is used to establish the spectral region for intermediate periods (region controlled by velocity). We also obtained important relations, dependent on site condition, between SA (0.2 s), SA (1.0 s) or SAmax values, and the PGA, for both return periods of 100 and 475 years. Other relationships between PGA or SAmax values have also been derived for return periods of 100 and 475 years, in this case independent of site condition. This research was supported by the Algerian C.R.A.A.G. and the Spanish Seismic Hazard and Active Tectonics research group. The authors thank Editor Andrzej Kijko for his careful review and comments. Ayadi, A., Dorbath, C., Ousadou, F., Maouche, S., Chikh, M., Bounif, M.A., and Meghraoui, M. (2008). Zemmouri earthquake rupture zone (Mw 6.8, Algeria): Aftershocks sequence relocation and 3D velocity model. J. Geophys. Res. 113, B09301, doi: 10.1029/2007JB005257.